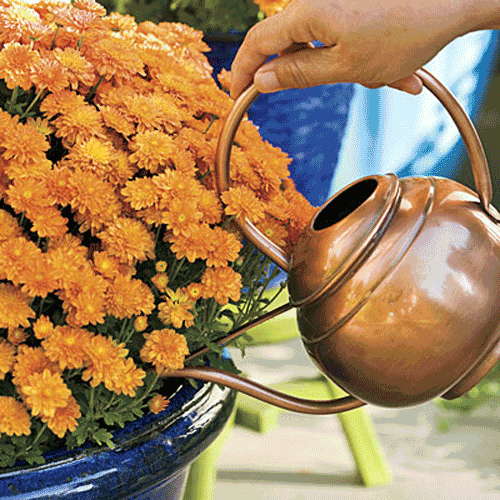 Watering plants in decorative containers may seem like it's a simple task. However, to do it correctly is an acquired art and a very important one at that. You cannot leave it entirely to nature because rain tends to bounce off the leaves of the healthiest plants and doesn't soak into the soil at all. This obviously can create quite the problems. Garden pottery that is planted and placed outside can dry out quickly on roasting hot days. Wind is also very damaging to them and will dry them out just as fast as not watering at all. Plants in the ground have a root systems that can spread and find water sources that a potted plant can't get to. When it gets really warm you may even have to water two times a day instead of one. You need to keep checking the conditions of the soil and make the adjustments necessary. Here are a few tips to help make this process less complicated and more interesting. Stick you finger in it!!! That's right. Just stick a finger in the soil and test for moisture. Another way is to keep an eye on the leaves and look for wilting or brown spots. Try to water the potted flowers first thing in the morning so that the water doesn't evaporate in the afternoon heat before it has a chance to bathe the roots. Morning not good? then water at night after the sun goes down. 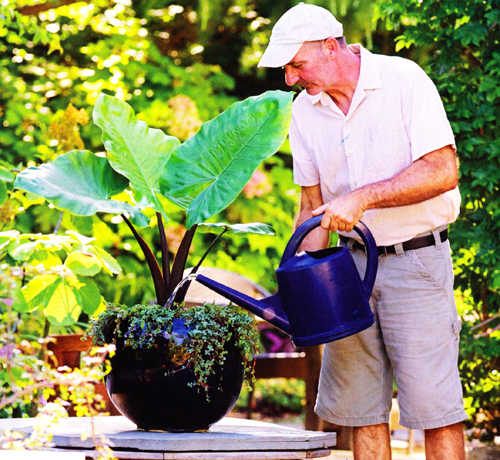 Just avoid over watering, which can bring on disease and pest from rotting roots. The best water is rainwater or cold water. If you water is really hard you can even boil it but this isn't really necessary. Don't allow your potted plants to get waterlogged. Make sure there is a drain hole in the planter you choose or drill one in. If you use a saucer tip it after a half hour if still full of run off water. For window boxes take your time watering. Make sure you don't just wet the top 2 inches of soil. Wait till the water comes out the bottom and the container compost remains moist. Get all corners of the box and not just the center. This will keep the roots from bunching in the middle and stunting their growth. Use the whole planter! Hanging baskets are lovely in spring and summer but they need daily watering so don't start one if you can't make the commitment. On very hot days you should water morning and evening. Since they are suspended out in the elements they take a lot of abuse and welcome a tender hand. You can even take them down and immerse them in a large bucket of water if the do dry out. In the cooler fall months water only when dry. 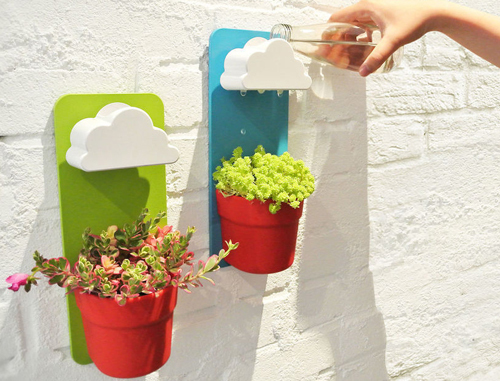 Lastly, give your potted plants and flowers a little spray. All plants like to feel clean cold water on their leaves, flowers and stems. You don't want to be heavy handed here so using a spray bottle is the best way to do it. A gently mist that surrounds the plant is what you want. When using a watering can on the roots you want to make sure the soil is moist but getting a light mist on the plants is perfect!! Read more.....Grow your own edible flowers.